Save money with our Maurie & Eve coupons and deals. Founded in 2004, the label is named after Kelly and Scott’s stylish grandparents Maurie and Eve. With a name steeped in history, the label uses subtle style references from past decades, utilising these starting points to create modern and accessible fashion items. 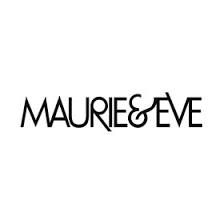 Maurie & Eve offers free Australia-wide shipping with New Zealand receiving a flat rate of $17. International shipping is calculated based on location. Both ZipPay and AfterPay are available. 30% OFF TOPS! LIMITED TIME ONLY. BLACK FRIDAY SALE! 25% OFF SITE WIDE.